In the modern world of competition, scams are everywhere. The latest trend is the appearance of scammers as missionaries and gurus dedicating themselves for the well-being of the world. Over the past few years, David Wolfe has become the center of heated arguments and controversies in the field of health and human nutrition. While thousands of followers honor him as a nutrition guru working to make the world a better place, many others reject him as another regular salesman trying to make more money through innocent people seeking better health and nutrition. David Wolfe claims himself to be a leading expert on human nutrition and raw foods. Both of his parents were doctors, which is said to have aroused his desire for good health. Currently he is the proprietor of SunFood, a company focusing on such things as “super foods” and “healthiest foods in the world”. It sells everything related to raw foods, such as some food items which actually offer great health benefits but were very difficult to purchase before. David is also an author, some of whose popular books include the SunFood Diet, Superfoods and Eating for Beauty. Being a skillful speaker, he conducts nutrition lectures which are extremely popular on television and the internet. David Wolfe recommends a vegan diet, based solely on raw vegetables and fruits. His opinion is that this is the natural diet meant for mankind by nature. He claims that this can create amazing effects on one’s health, accompanied by natural healing powers and an immediate sense of bodily wellness. In fact, medical science has brought forth indisputable facts relating unhealthy diet and lifestyle with many of the worst health issues. 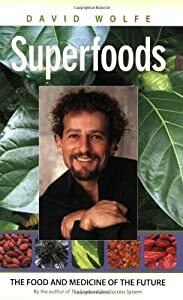 With so many people seeking treatment for lifestyle conditions and alternatives to a healthier lifestyle, the fame of David Wolfe’s concepts should come as no surprise. Meanwhile, there are some serious accusations against this raw vegan food concept, which are collectively called “David Wolfe Scam”. The main scientific argument is that vital nutrients like vitamin D, vitamin B12 and certain amino acids are unavailable in plant foods. Thus, a vegan may be easily victimized by nutritional imbalances. Besides, the vegan concept is nothing new; it has been available in Eastern philosophy for centuries, mainly in countries like India. David’s company SunFood is another suspicious factor, as his efforts may merely lie in the direction of personal profits via increased sales and elevated publicity through books and lectures. Some critics have gone to such lengths as to call him “a wolfe in vegan clothing”. Accordingly it’s obvious that there are many points and counterpoints regarding the genuineness of David Wolfe’s actions and motives. While it’s true that a vegan diet may work miracles with human health, we don’t need a David Wolfe—or anyone else, for that matter—to elaborate on that fact. Nevertheless, the wise thing to do is to carefully analyze David’s concepts and implement them to a certain extent while showing him the due respect, without considering him as a guru or a missionary sent by God. Where to buy Shakeology in stores?